How many times have you admonished your kids to chew with your mouth closed? Well I propose a new mantra – suggest to your family and friends that they eat with their eyes open. 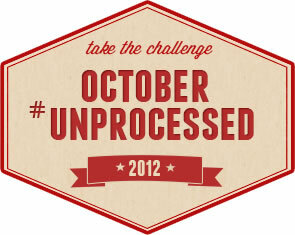 Next month, I will be participating once again with Andrew Wilder’s October #Unprocessed Challenge. But what is unprocessed food and how would you know it when you see it? 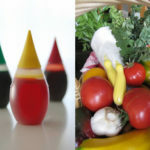 According to Andrew, unprocessed food is any food that could be made by a person with reasonable skill in a home kitchen with whole-food ingredients. 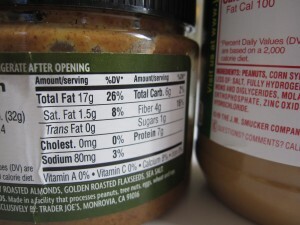 For example, if you buy peanut butter and it includes preservatives or fillers that you can’t pronounce or find on the shelf of your local grocery store, then it’s likely a processed food. If it’s just made with peanuts and salt, which you could theoretically purchase and grind yourself, then it’s unprocessed. What does participating in the challenge look like for me? — a frazzled mom and writer who barely has time to turn on the stove most days? I view it as 30 days of education and motivation to learn how to maximize flavor and nutrition and minimize or eliminate preservatives and artificial ingredients. 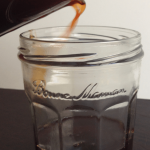 If all you do is open your eyes and start reading labels a little more closely, rejecting the preservative-rich version for the simple easily-identifiable ingredient list, you will be making a huge leap forward. But I encourage you to sign up and read all the posts filled with recipe ideas and discussions about how to incorporate tasty, healthy, affordable choices into your everyday diet. I’ve written guest posts for Andrew the last two years – one on Healthy Snacking Tips during the hectic holiday season that kicks off with the Halloween candy avalanche and last year I wrote about five ingredients you should avoid in your diet and why. 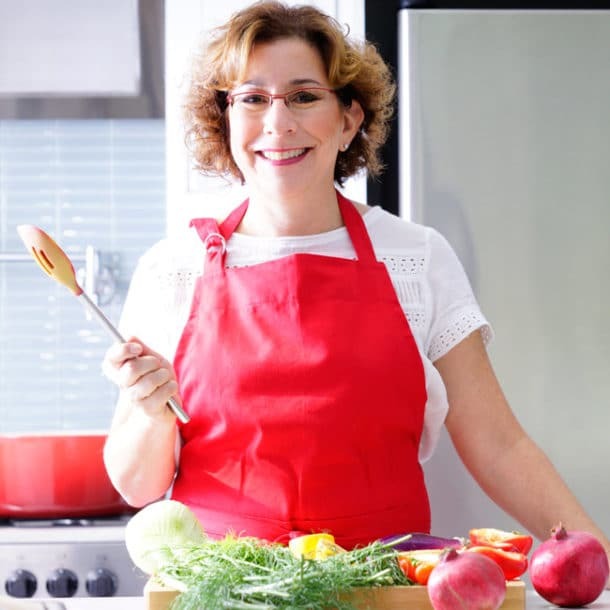 This year I will be offering an easy unprocessed recipe that anyone can make whether skilled or novice in the kitchen. So open your eyes, read the label, and choose unprocessed, real ingredients over foods you can’t pronounce or won’t see growing at a farm near you. Yummy and healthy are not mutually exclusive adjectives – they grow hand-in-hand. You’ll see. Thanks Charlotte! 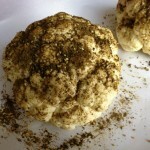 Definitely go check out all the posts at EatingRules.com – 3 a day with all kinds of great recipes and tips and ideas. It’s so easy to make better choices just by reading labels, even if we don’t have time to prepare everything ourselves. Good to hear from you and happy Saturday! This is wonderful. I, too, have been trying to avoid processed foods and this post is a reminder that we should all be a bit more mindful of our eating habits. Also, we realize there really is no purpose to eating processed foods when we start paying attention. I mean, if I can’t pronounce what’s on a label, chances are, I don’t want it in my belly! How perfect if all the employees at an organic distribution company took the pledge!!! We always buy our food at our local meat market and farmers market the price is great and i dont have to worry about poisoning my children with processed food. 🙂 lucky you to have a good affordable source for healthy organic meat! With what I have on tap for October, eating fully unprocessed might be difficult however, on the days that I don’t have to use a processed ingredient, I will definitely be more conscientious. I am paying way more attention to what is on the label and making better choices. Fabulous idea! Thanks Aly – incrementally better choices are all good. I can’t manage to be wholly unprocessed either but I learn something new reading all the posts and just try to incorporate new ideas whenever I can. Great Idea. I now read the labels on everything I buy, mostly for the sugar, salt, potassium content etc.I will keep on reading. You learn a lot, don’t you? Good for you – it really makes a difference. 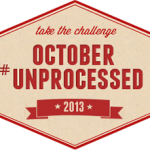 I love the Unprocessed Challenge– this will be my third year doing it. I wrote down some of my thoughts about the challenge here: http://www.ashlinixon.com/2012/09/unprocessed/. Will head over to take a look Ashli! Thanks for stopping by. I probably can’t get through the whole month eating unprocessed, but I’ll do my best to focus on mindful eating. Thanks for an informative post. Oh I am with you – in fact – Andrew and I originally bonded over an email conversation where I asked him to address how a crazy busy lifestyle could accommodate this approach. Really, in the end, it’s about education and if committing to unprocessed food for one meal, one day, one week is what works, that’s all he’s really looking for. 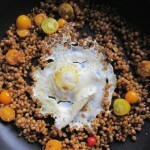 Your bulgur recipe is a perfect example of an unprocessed recipe. You eat that way naturally!